2017 was a historic year for UCF Football. Before the No. 12 Knights (12-0, 8-0 AAC) open the 2018 calendar year against the No. 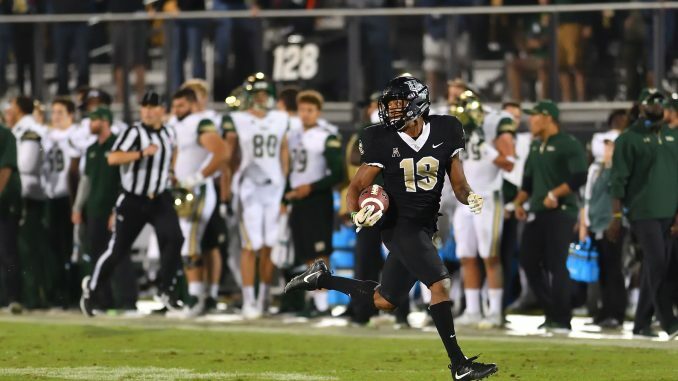 7 Auburn Tigers (10-3, 7-1 SEC), Knight Sports Now co-founder Christian Simmons and senior writer Bailey Adams collaborated to rank UCF’s games from least entertaining to most entertaining. Disagree with anything on our list? Where do you think Monday’s matchup with Auburn will land on this list? Let us know your thoughts.